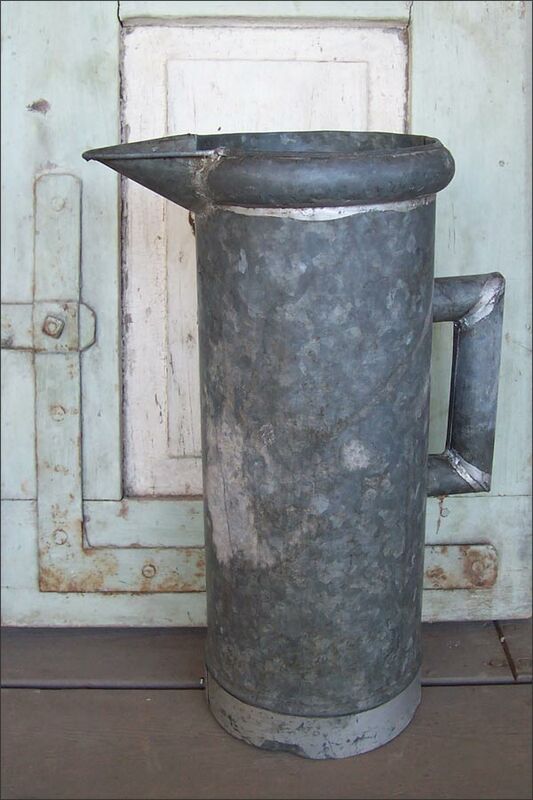 This Old Weathered Galvanized Pitcher.... Its Pointy Spout.... Its Boxy Handle.... and Its SIZE! It is Begging for Something Really Tall to Show Off. Cattails, Maybe.... Giant Stalks of Wheat, or Maybe Cedar Branches (see Natural Elements).